9x12, lxi + 257 pp. 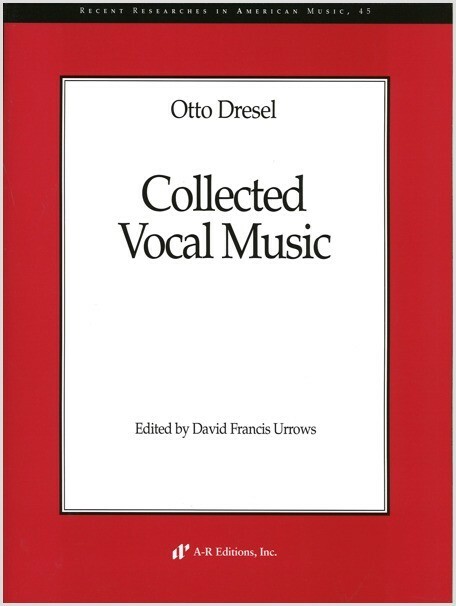 This volume presents ninety lieder and other vocal compositions by a neglected figure, Otto Dresel (1826–90), reflecting the life of a composer with German origins and an American émigré experience. A student of Liszt, Schumann, and Mendelssohn, Dresel came to America in 1848. For a quarter century, Dresel—once known as the “musical conscience of Boston”—held critical and intellectual sway in that city’s musical matters, along with his close friend John Sullivan Dwight. He functioned as composer laureate to the literary community of mid-nineteenth-century Boston: Longfellow, Holmes, Child, Howe, and Kemble were among the poets who turned to him to set their words to music. As Dresel released few compositions to publishers during his lifetime, most of the music presented here appears for the first time. The edition includes notes on the (often elusive) sources of his texts and reviews from nineteenth-century journals, which trace the reception of his music. An additional feature is the presentation of the original and revised versions of lieder that Dresel published at different times. 49. Nimm dich in Acht!